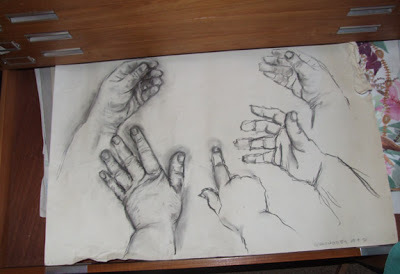 drawing hands in charcoal - over life size, A1 paper - also featuring my lovely plan chest! This shows part of my plan chest - the large sheet of paper - A1 - is lost in the large shallow drawers, they take huge A0 sheets :>) A1 is the size of 8 sheets of typing paper side by side. One of the fun things of starting to load work into the plan chest was in unrolling old drawings and finding stuff from the degree and pre-degree - not seen in years! This one was a uni challenge to draw our hands - here revealed are my horrible chubby paws :>o - We had to draw our left hand with our right and vice versa. Any guesses as to whether I'm right or left handed? 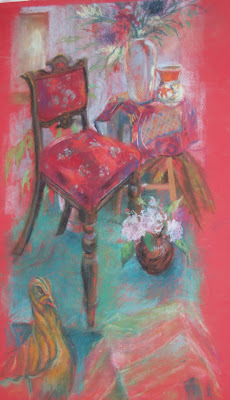 a much older pastel drawing I came across - about 2ft 6in tall -ish. This was done at a weekend workshop. It doesn't show up well in the photo but that really does look like velvet on the seat in real life. It brought back happy memories of a friend who died last year and the fun we had on the course. And lastly the sketching I did yesterday in one of the telescopic sketchbooks I made following Lindsay's instructions. Great post, Vivien! I love your hand drawings - both sides look good to me, and that painting is soo beautiful - there's something mysterious about it. Now - who's sketchbook are you filling with exquisite drawings of flowers and seed pods. That looks like it will be fun to work in! oops I meant feathers and seedpods! You're righthanded, but you do lovely work with your left hand, too! I so wish I were in your sketchbook group, so I could see your work in person. 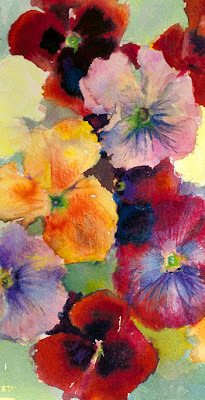 well - Glen has decided that her theme is flowers - so I may just have to some for Glen's book! Laura and Chris I'm not saying yet! Like Leonardo da Vinci, you have dual ability. But, going by the soft shading on your left hand, I'd guess you use your right for most work. I was wondering how that plan chest was being integrated into your studio! It sounds large enough to deserve a name. These are a lovely trip through your artistic history. The chair one is whimsical and the colors are rich. Perfect storage for all your work. It is nice to find old work that you haven't looked at for a long time. Isn't it great to look back on old drawings? I just love doing that and see where my mind was and whether my style was present then. These hands look great, both sides. And that chair - the colours are fabulous. I'll have to wrap my mind around a sketchbook swap I believe. It sounds unique and would be a wonderful piece to remember in years to come. it is big enough to need a name! I'll have to think of one! and integrating it into the studio space means it eats a lot of space up! but well worth it. I envy you your plan chest! Lovely hands - I think you're RH too - it's interesting to see the different quality of line drawn with the other hand. Your art school drawings are definitely worth keeping - I still have mine, but think it's time they went into recycling. 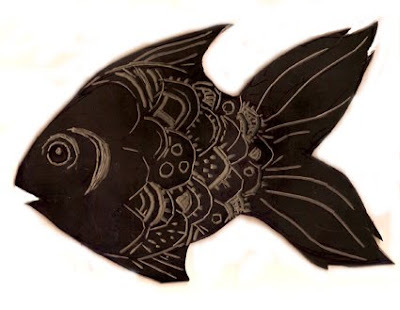 don't throw away those old drawings - you'll regret it. I loved coming across mine again, even the disasters!